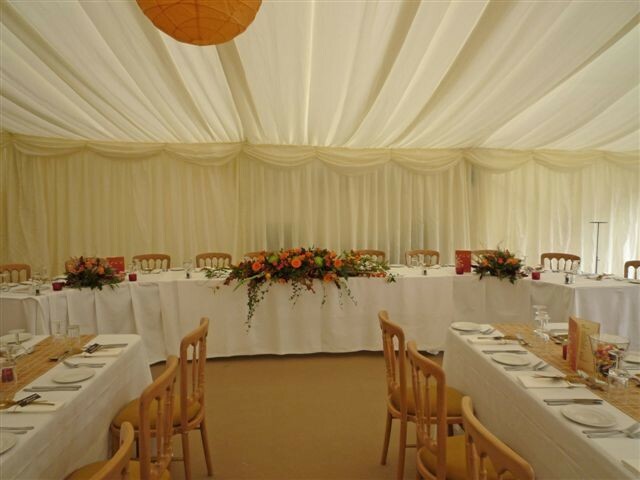 Erect a large marquee in a tight garden space – the marquee must incorporate the existing garden features to give a sense of being outdoors inside! 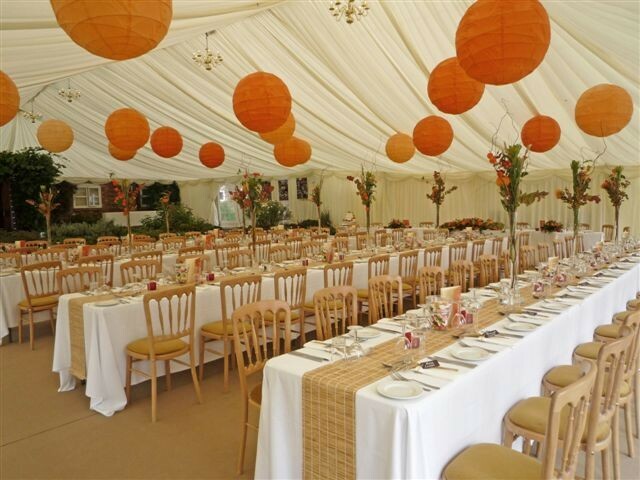 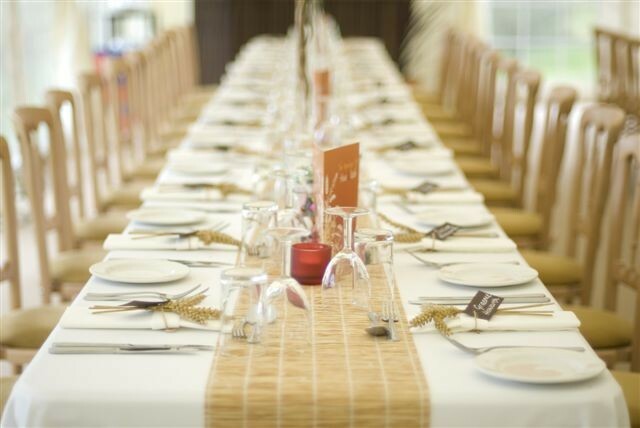 The client requested we create a relaxed yet formal atmosphere inside the marquee and utilise orange lanterns to create an ‘orange themed wedding’. 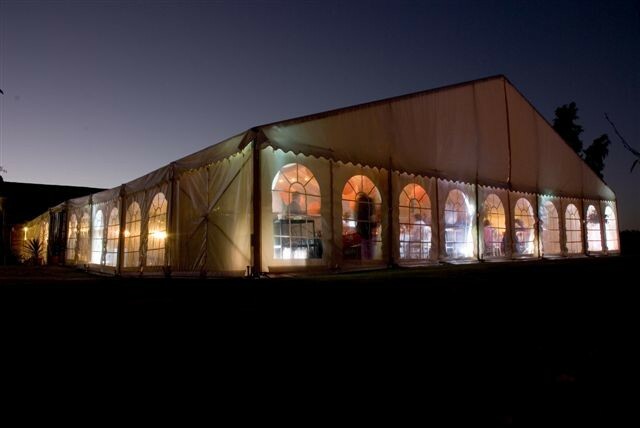 The Marquee looked fantastic! 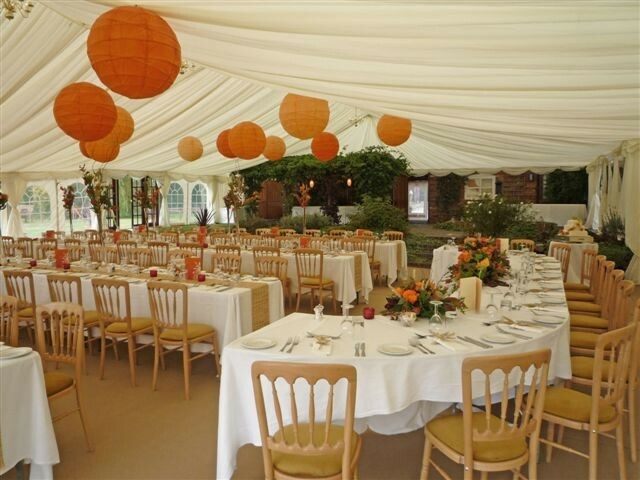 We managed to incorporate a lot of the existing garden features into the marquee which gave it a really unique feel! 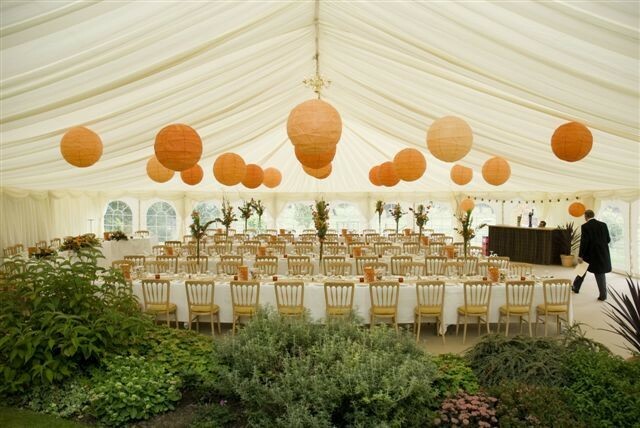 We think you will agree the combination of garden greenery and beautiful orange lanterns/table linen proves very appealing to the eye!